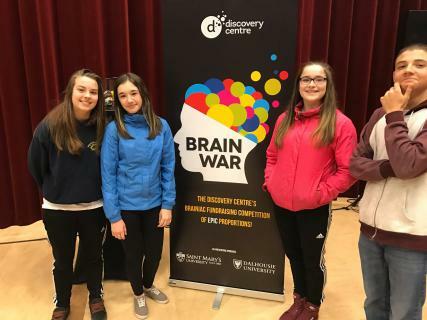 Students from South Colchester Academy competed in the annual Brain Wars competition on Friday, February 24th at SMU. Many thanks to Mr. Crewe for organizing this opportunity for students! Brain Wars challenge the mind with a series of 30 stations each testing a different component or a combination of STEAM (science, technology, engineering, arts and math). You can learn more about Brain Wars here.